Sailun has launched an initiative that invites its dealers and partners to raise funds for the treatment of child cancer on a global basis. The campaign is meant mainly for key distributors in the EU markets but is also open to distributors in other regions. Exciting prizes like a trip to Vietnam are offered to those who manage to raise the maximum amount over a six month period from November 1, 2015 to April 30, 2016. The company’s partners will get plenty of support including merchandise like t-shirts, caps, postcards, fundraising documents and periodic press releases supporting the campaign. The all expenses paid trip for five to Vietnam is an added carrot and will be offered to the toppers in two categories – the company that raises the largest amount and the one that raises the most on a pro rata basis taking into account (the latest official market size by tire type – PCR or TBR – of the countries covered for Sailun by each distributor). 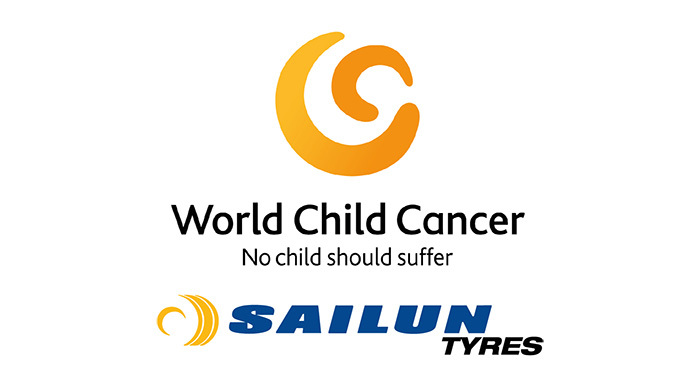 The focus of the campaign which is being held as part of Sailun’s CSR initiatives is to raise funds and awareness for WCC (World Child Cancer). Sailun added that the initiative represents “a great point of difference” for its partners and the Sailun brand, recommending the appointment of a team member to be the Sailun WCC challenge ambassador. The total amount raised as an outcome of the campaign and the winners of the two major prizes, will be announced at the Sailun Gala Dinner to be held on Wednesday 25 May at Schloss Hugenpoet, (during Reifen 2016).